During my time at Defrancos Training Systems, formerly of New Jersey, I was exposed to a crazy idea: every lift, every cut in sports, every time you take a step, you’re in one of three phases of movement. 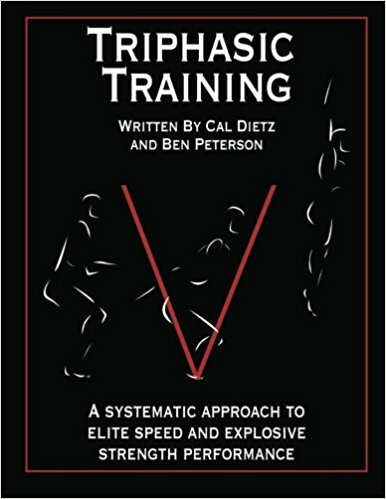 The idea of the different phases of movement is not anything revolutionary, but to train each separately to build up a lift or dynamic movement to a whole new level was! This eccentric contraction is a crucial part of athletics and lifting because without substantial eccentric strength, you are more likely to get hurt (think tearing an ACL non-contact). Training the eccentric portion has a major influence on the subsequent phases. Every dynamic or athletic movement BEGINS with an eccentric contraction. Think about it--when you jump, you don’t stand straight up and pop your ankles to get off the ground. You eccentrically load your glutes and hamstrings by sitting your hips back into a quarter squat before leaping off the ground. Increasing your eccentric strength will allow you to absorb a greater amount of energy to be used to explode through your movement in the concentric phase (more on that later). For guys looking to put on some size, this is a great way to pack on muscle fast! By slowing down the tempo and flooding your muscles with blood, you are forcing your muscles to adapt and grow. The best part is, you will see the size (sarcoplasmic hypertrophy; bodybuilder), and the thickness (myofibril hypertrophy; powerlifter) you so desire. To sum up the eccentric phase--slow down your lowering phase! Count to three before the bar touches your chest in the bench, or five seconds letting the bar up during a pull down. Be warned though...this is extremely taxing and of the three phases this one is mostly closely related to muscle damage. Thus, always stay conservative when using this method, and gradually work your way up. Time under Eccentric: 6-8 sec. The isometric portion of a movement, aka amortization, is the part of movement where you have absorbed the force and are now transferring that energy from eccentric to the concentric phase. This portion of the movement is usually the shortest and almost unrecognizable, regardless of your efficiency in this phase. To truly benefit from using all that force you absorbed in the eccentric portion (“every action has an equal and opposite reaction”), this phase needs to be as short as possible. If you were a car, you’d want to have the tightest brakes on the street: when your foot hits the brake, you should stop almost instantly with no tire tracks behind you. If your isometric phase isn’t strong, however, you’ll hit the brakes and go flying down the block until you crash into somebody else. Now think of how important stopping and changing direction in in sports and lifting! Why is this phase so important if it’s so short? Again, for the athlete, sometimes this is the only thing that separates someone from being good vs. great. If you can’t use the force from the eccentric portion to launch yourself into the explosive concentric portion, then you’re losing out on power you could be generating. Think jumping off a hardwood basketball court vs. a beach volleyball court--one surface gives a lot of bounce, while the other gets made into sandcastles all day. For the athlete looking to make gains in the weight room, training your isometric phase has less of an effect then the eccentric hypertrophy we previously touched on, but can again be the small difference you need to take you from decent weight to “wow that’s a lot of weight” weight. Have you experienced being stapled in the bottom of the hole squatting, or stuck trying to get the bar off the floor during a deadlift? If so, training that spot in your lift through pause reps will allow you to train that specific (within 10-15°) angle in your lift. Thus, next time you get stuck at a particular sticking point, think of giving isometric reps a shot. While the isometric phase is very simplistic in nature, hold a spot for a designated amount of time and finish the rep, and isn’t as taxing as eccentric work, it’s again not easy. As with the eccentric phase, be conservative. These will catch up to you quickly, and you don’t want to be hanging out under load for a while if your form is shot. Make it perfect and make it reasonable! Time under Isometric: 6-8 sec. This is the phase everyone knows and love--your body is overcoming the force placed upon it. When you ask the guy at the gym, “how much ya bench?” you are referring to the concentric phase. After a few sessions or weeks, depending on your program, following the eccentric and isometric phases, you have hopefully become more efficient at moving. What I mean is you no longer waste as much energy in your movements. All of these subsequent phases leading up to the concentric phase were to allow your body to be able to absorb and transfer more energy in less time. To take advantage of this, you should perform each movement as explosively as possible with perfect form. This goes for whether you are lifting 50% of your 1RM or 99.9% of your 1RM--push as hard and fast as you can (again…FORM INTENSIVE)! This lends itself greatly to a traditional team sport athlete because it transfers to blowing by guys and juking a defender out of his or her sneakers. As far as the weightroom goes, this is where you feel as if you are “throwing” the weight up. Sometimes breaking through a plateau is just a matter of speeding up the lift, and taking advantage of the elasticity of your tendons/ligaments and muscles. Feel free to push the intensity on these guys, but be careful at first. The increased speed will very likely have your balance a little out of whack, so feel out a regular tempo or even a relatively quick pace before going all out. Time under Concentric: ALMOST NONE! BE FAST AND AGGRESSIVE! (with perfect form). I hope you guys see the value and benefit of spending time breaking down your lifts this way. This style of training works wonders for athletes of all ages and levels, recreational guys, serious lifters, and even the occasional person rehabbing an injury. Aside from witnessing first hand the benefits of this style of programming, I also experienced it myself when my legs felt explosive and strong again after back-to-back knee surgeries. Feel free to add one type if you have a very specific goal in mind, or throw a whole program together cycling through the different phases of the lift. Look for part two where I will throw together a sample program template so you guys can actually see things laid out in front of you, and you’ll be able to plug and go! I have my MS in Exercise Physiology from William Paterson University in NJ, and while attending I had two world class internships under the NY Islanders Sports Performance Department in Syosset, NY as well as Defrancos Training Systems in Wyckoff, NJ. I currently coach at the Mamaroneck Equinox in NY, and have worked with prepubescent up to adult professional athletes. I myself was an Academic All-Conference player in college for basketball and volleyball at Brooklyn College in Brooklyn, NY. You can connect with me on Facebook, so come hangout.